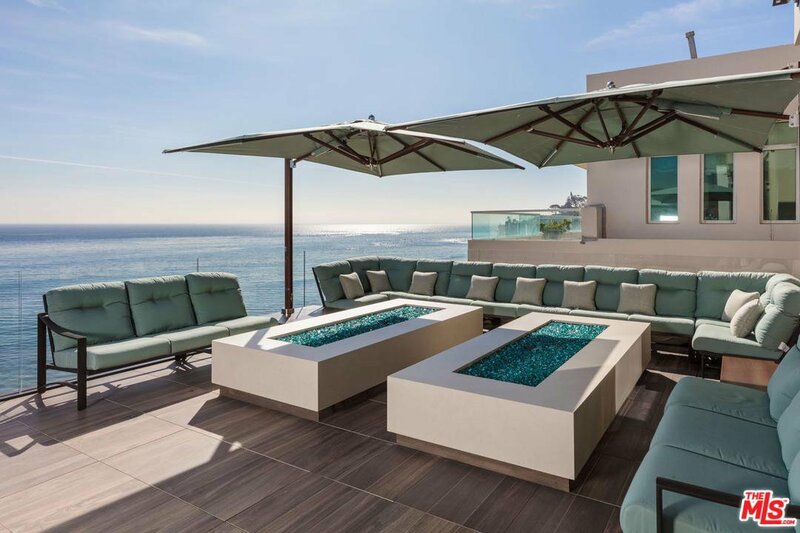 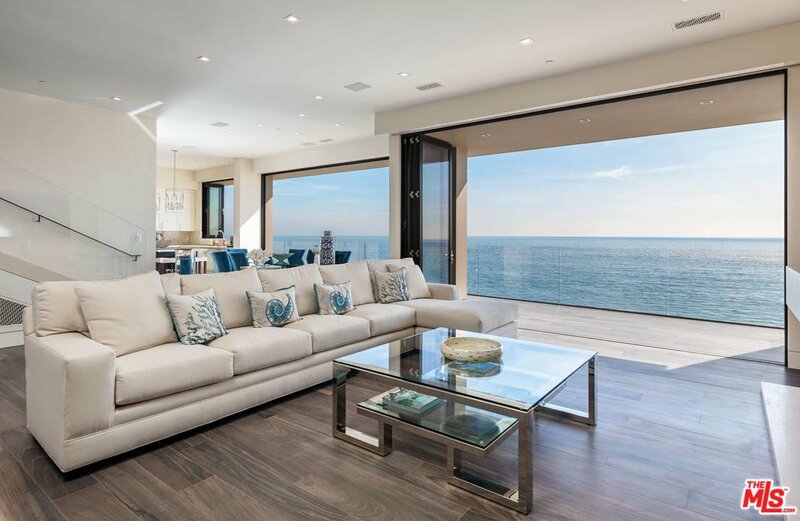 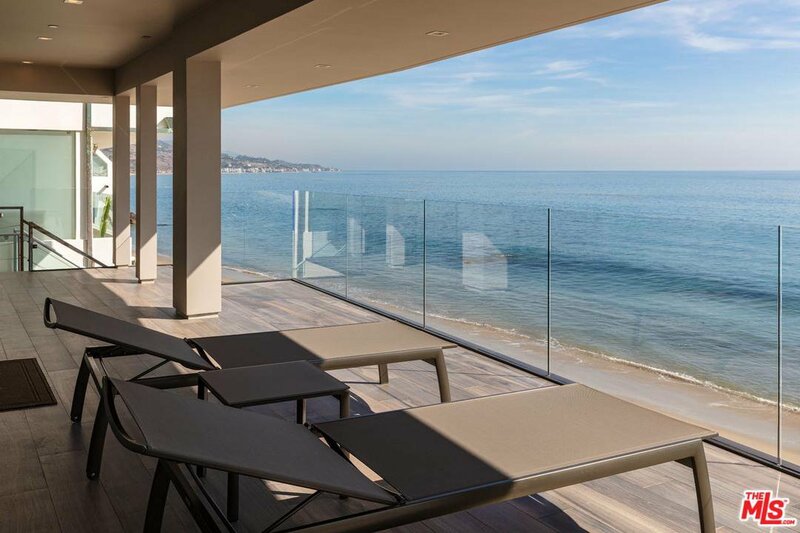 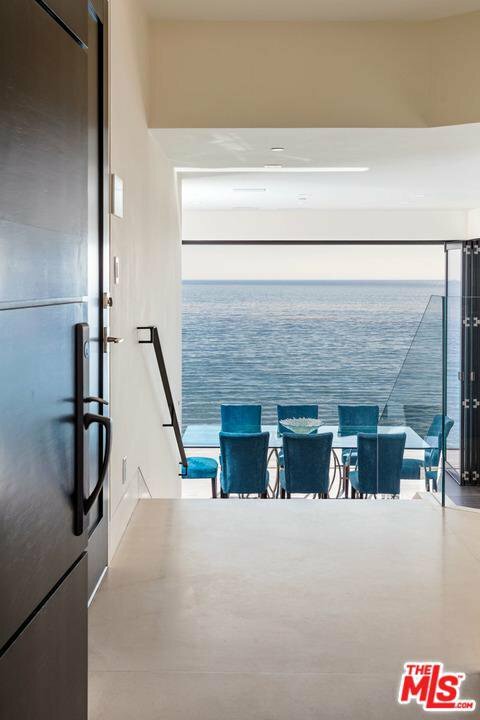 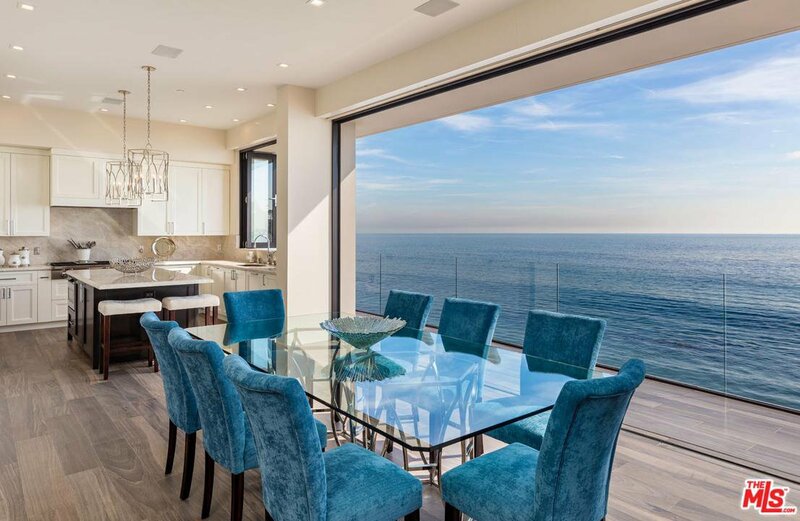 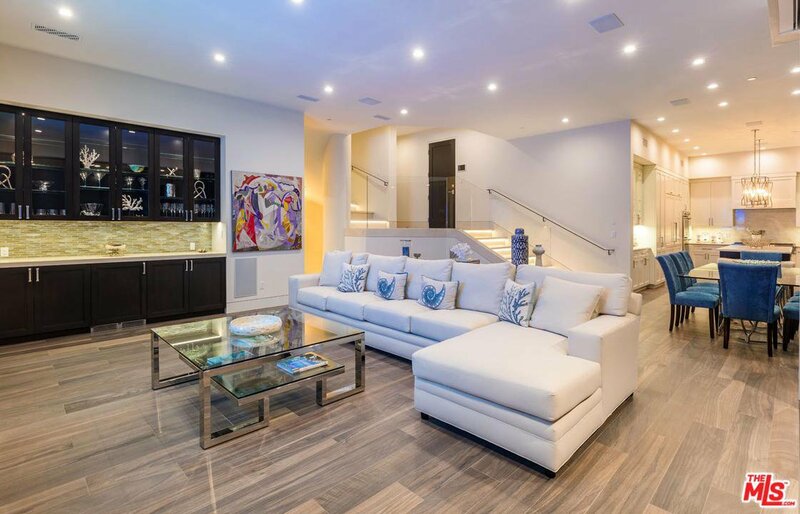 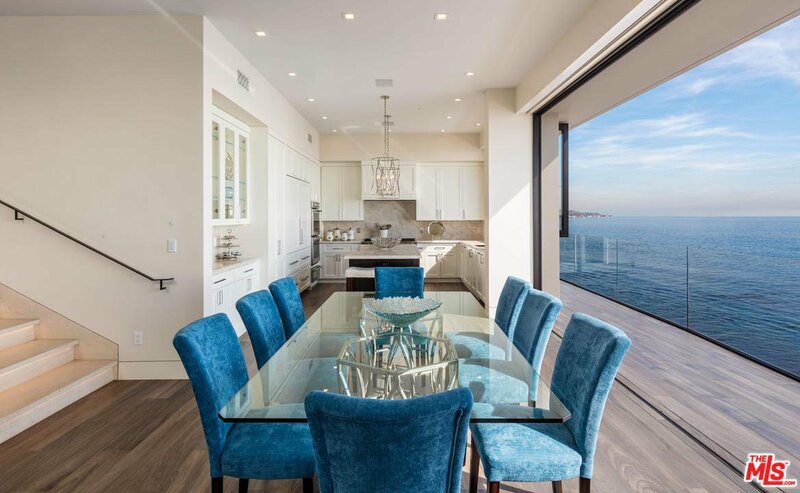 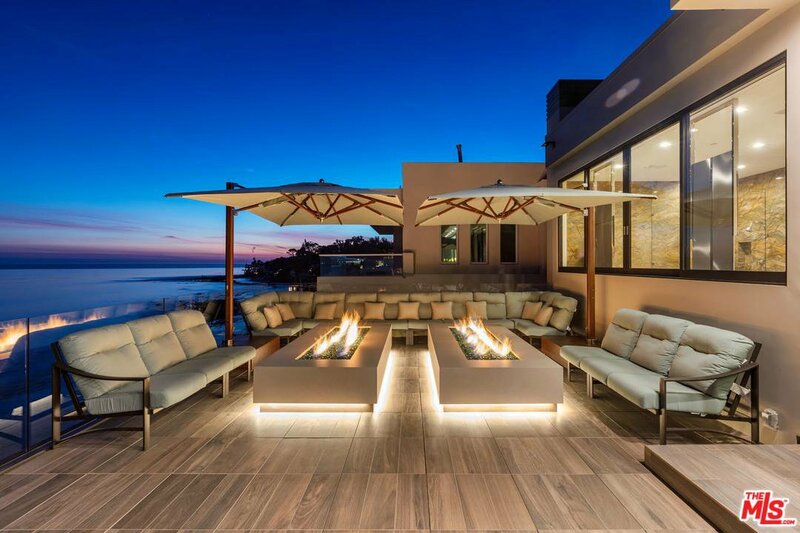 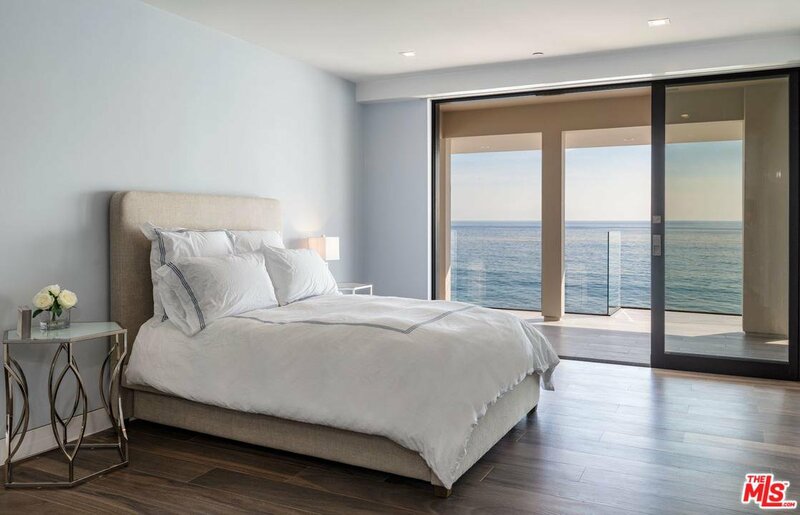 Unparalleled elegance and modern design unite in this newly remodeled home w/appx 63' of ocean frontage by interior designer Leslie Shahinian. 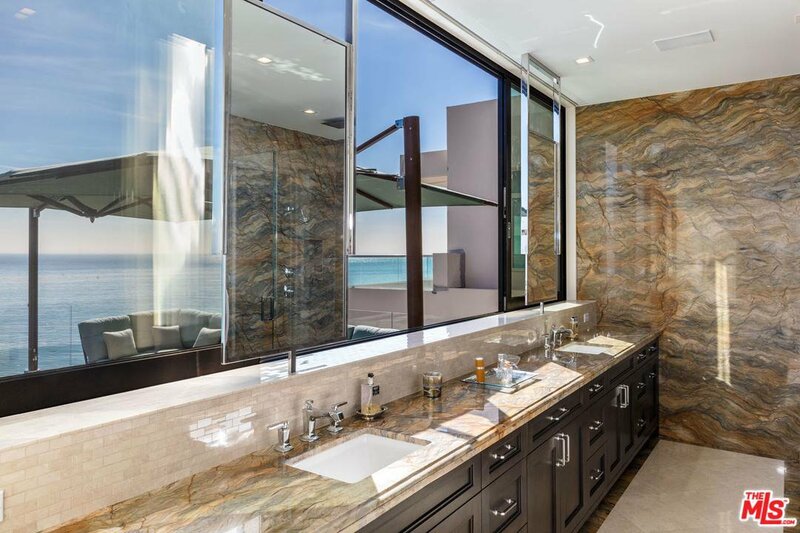 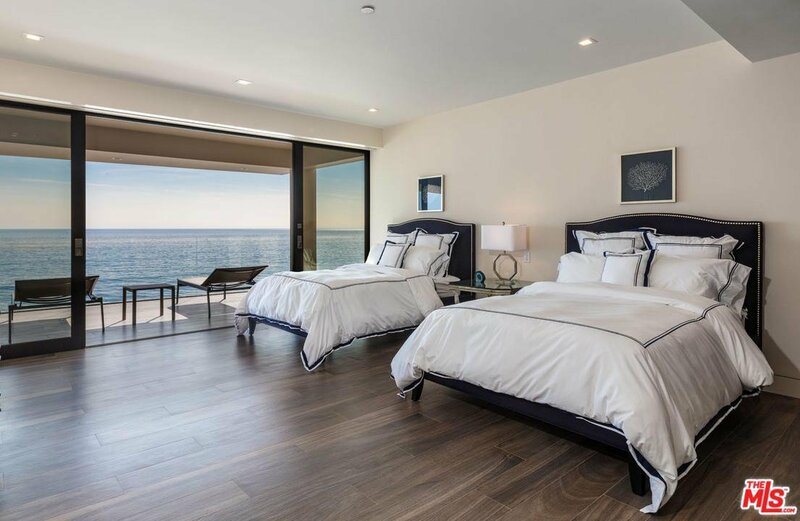 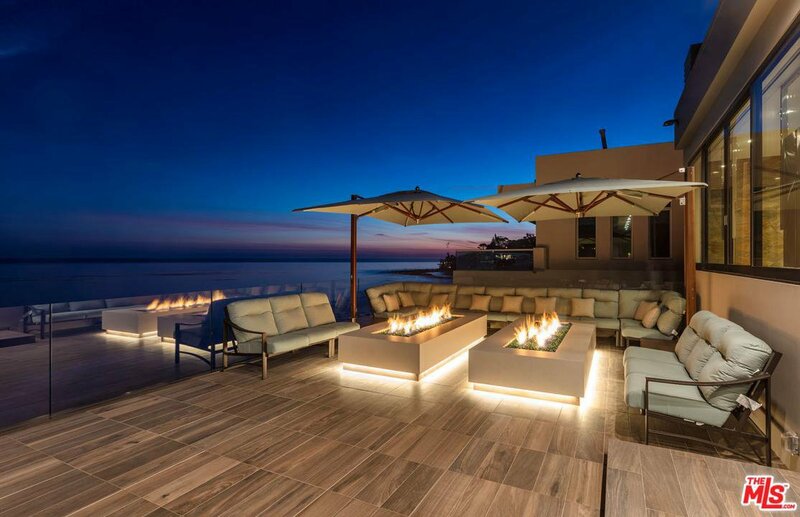 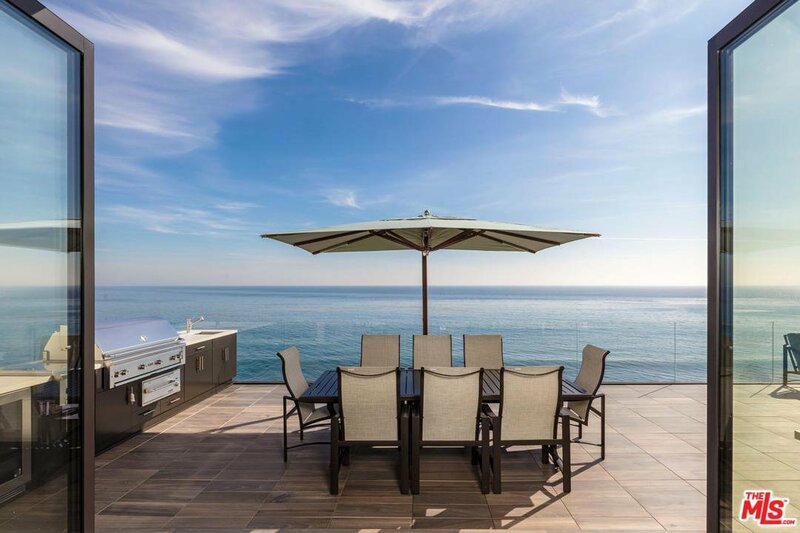 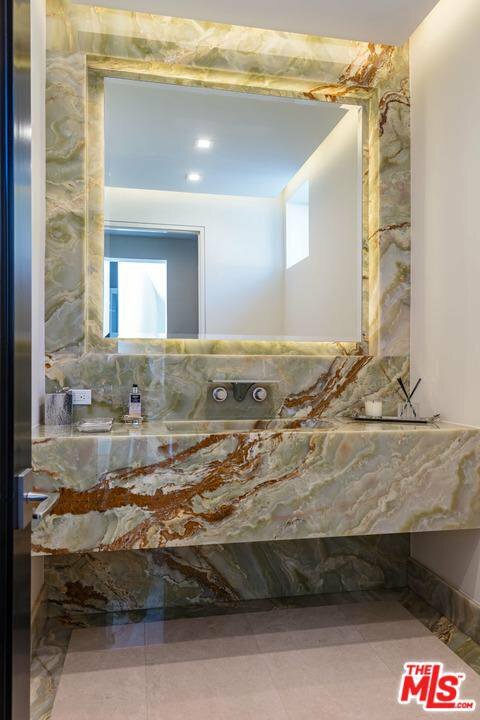 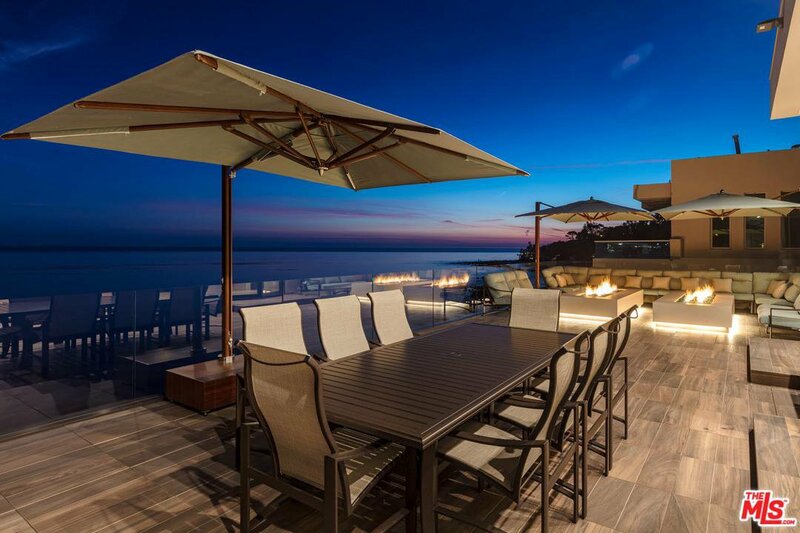 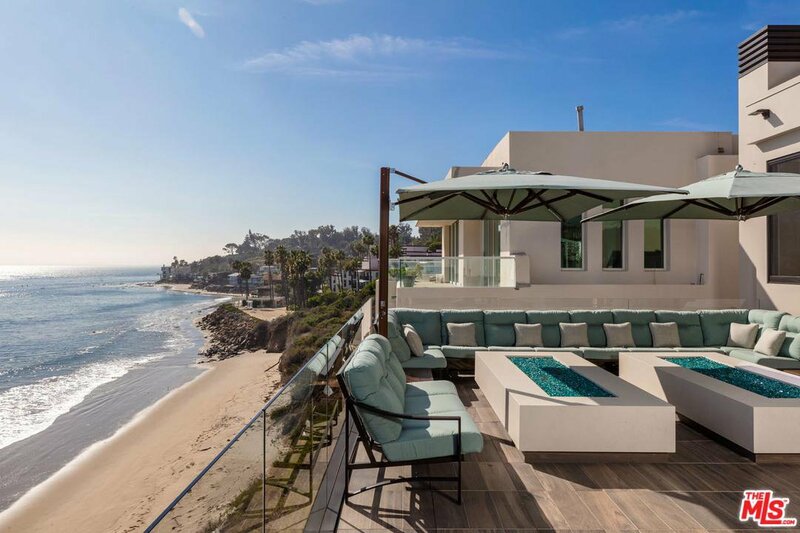 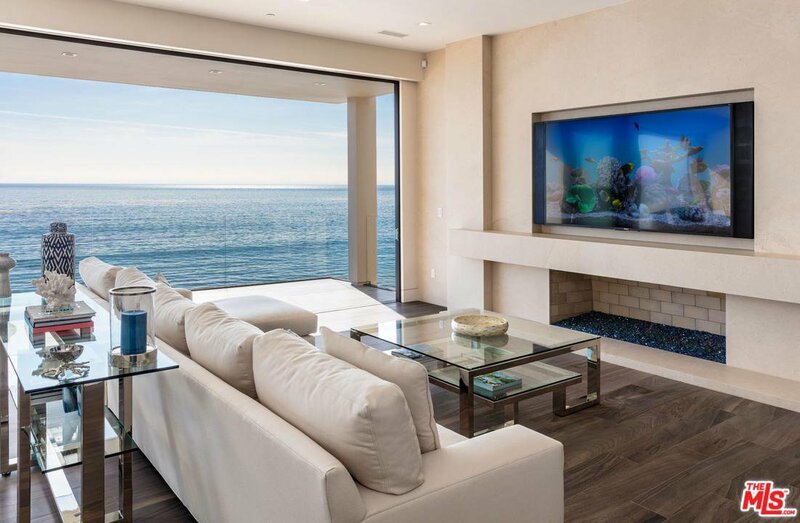 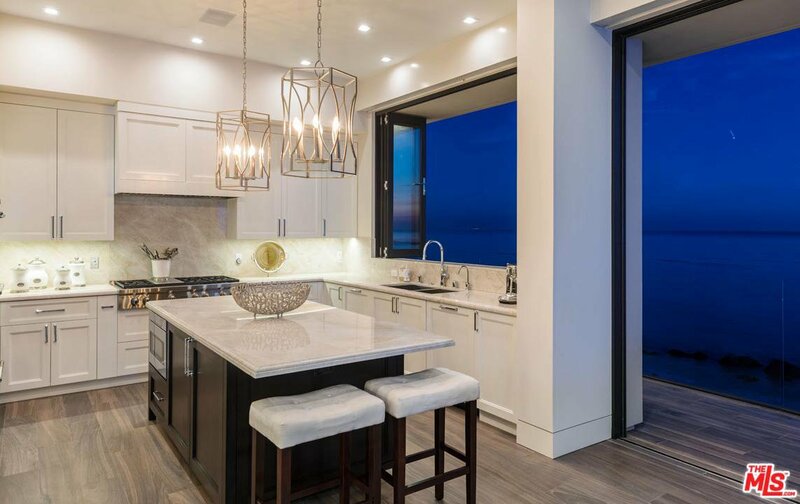 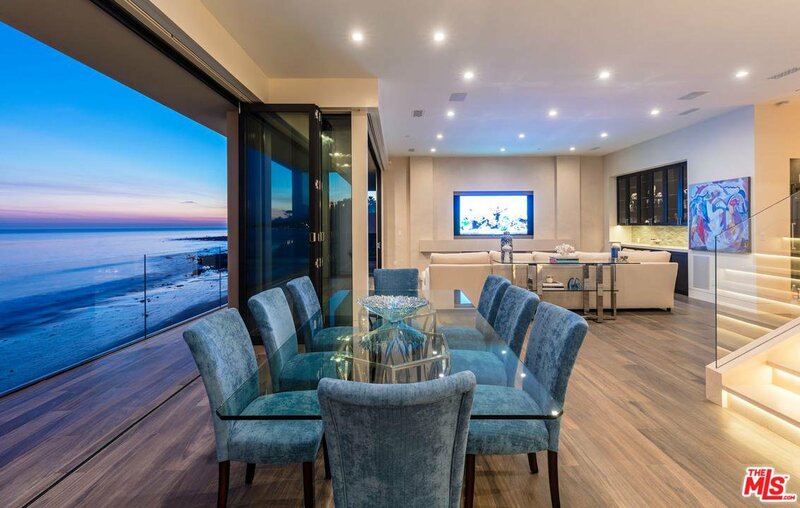 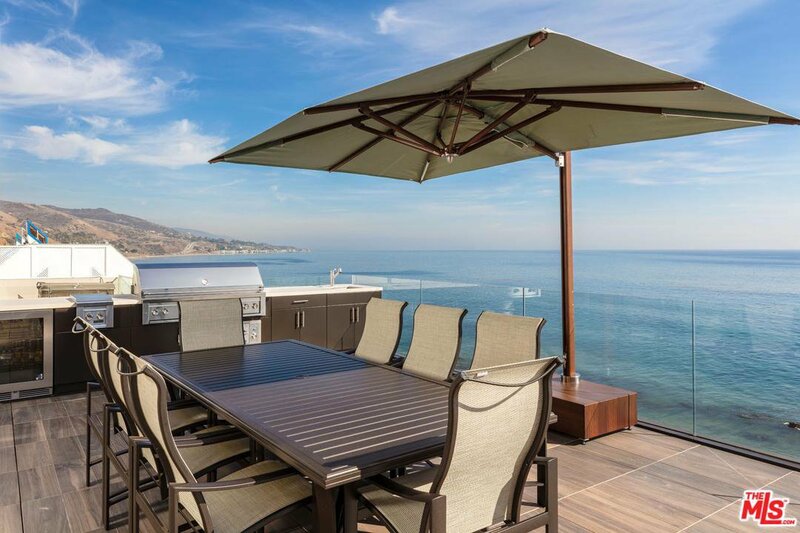 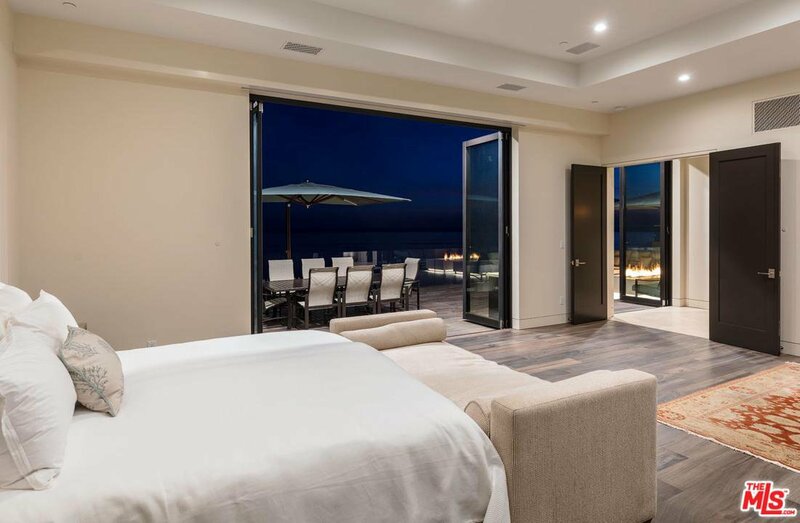 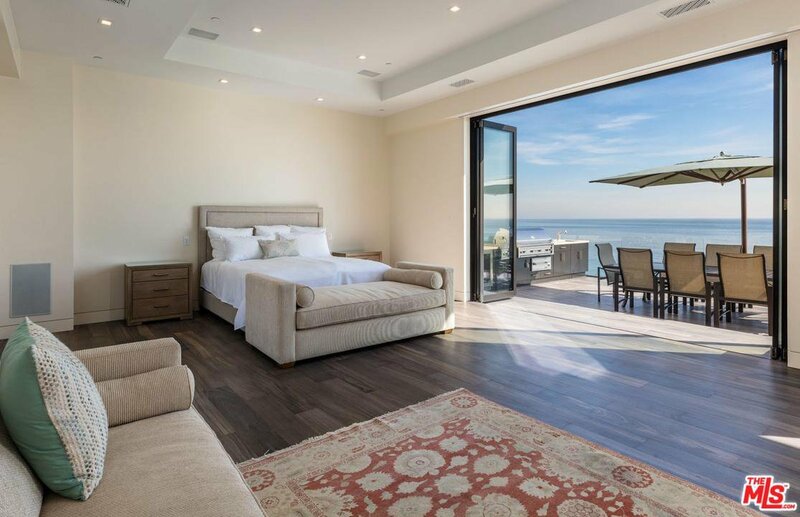 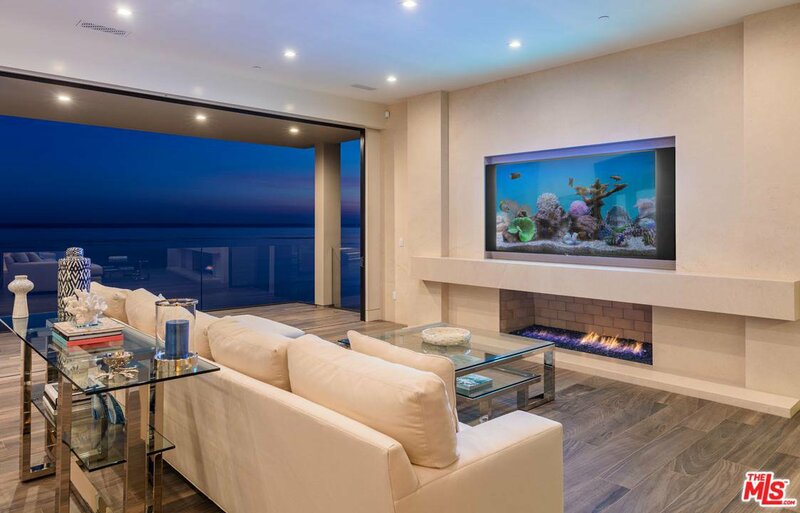 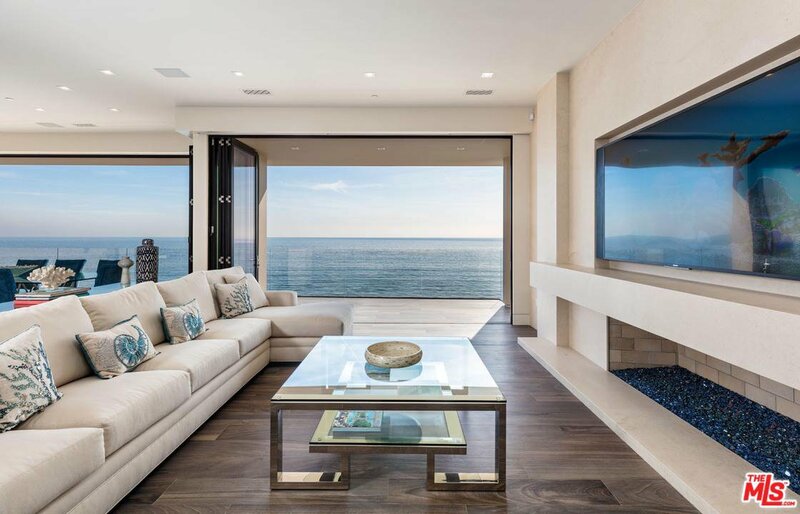 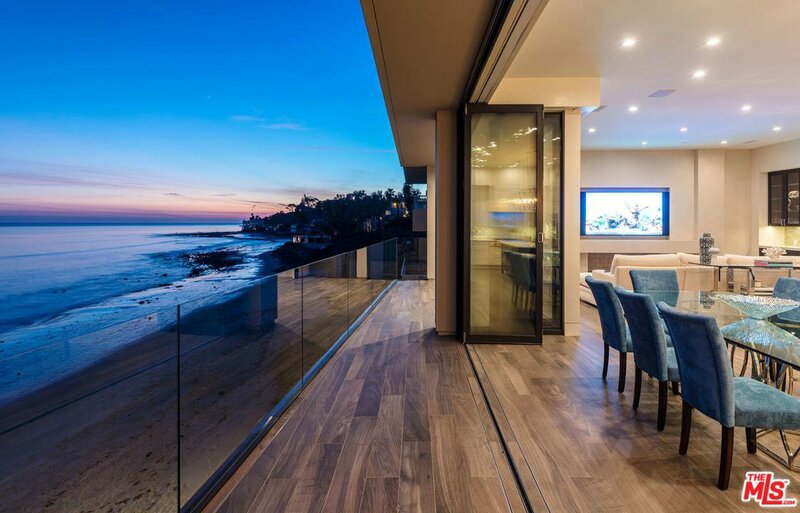 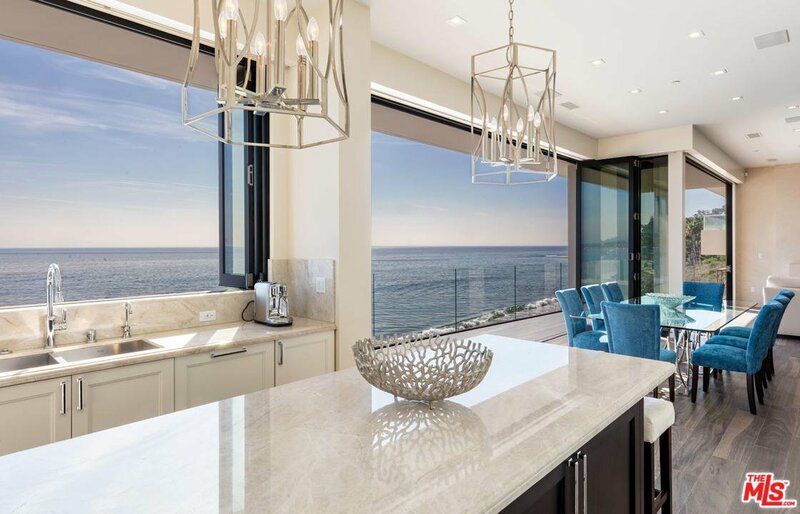 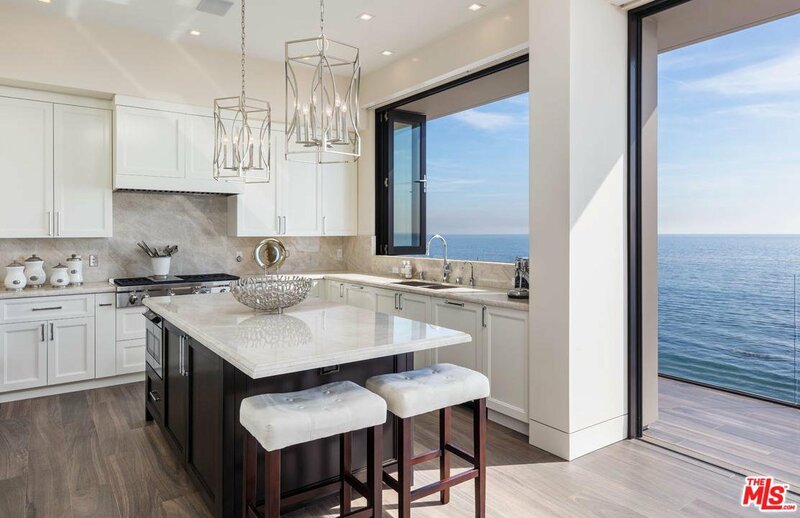 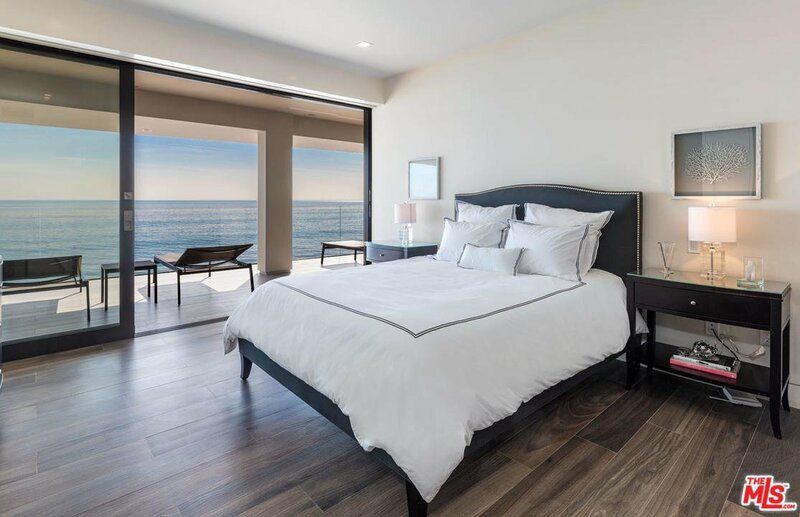 Offering sweeping ocean views from every room, this impeccably crafted Crestron~ smart home w/marble limestone & Onyx slabs plus Italian wood plank porcelain heated floors & Starphire Ultra-Clear? 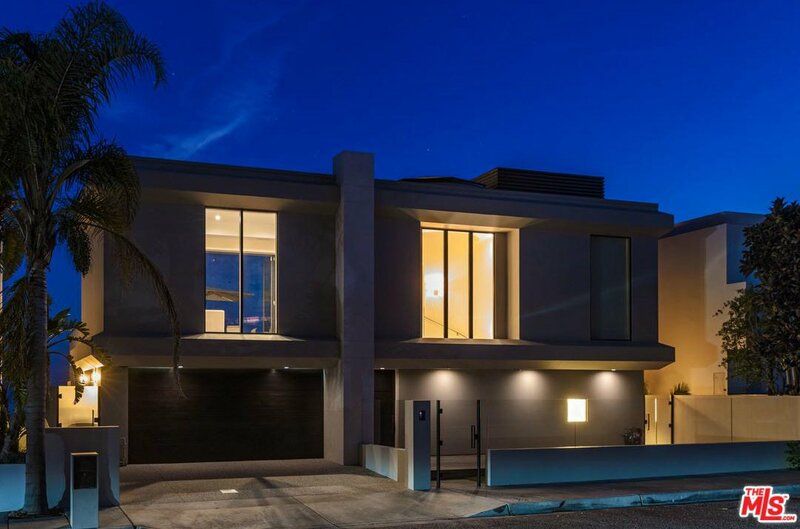 glass throughout is a marvel of luxury from the moment you pass through the courtyard entry & enter the 3-story beach home. 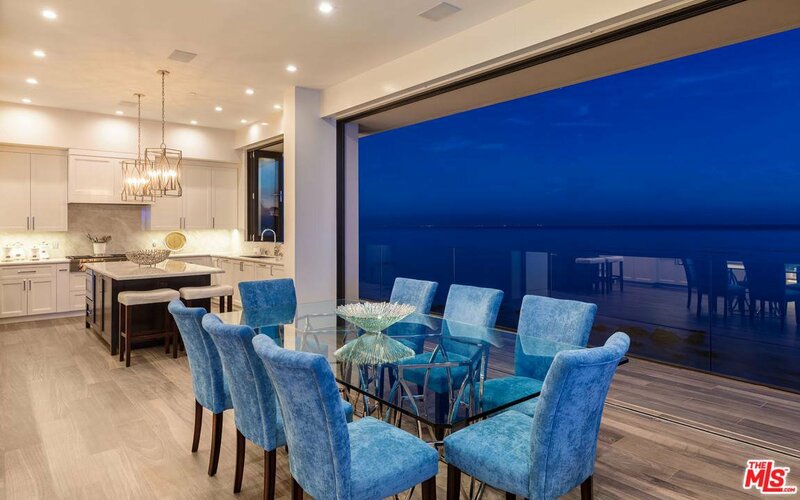 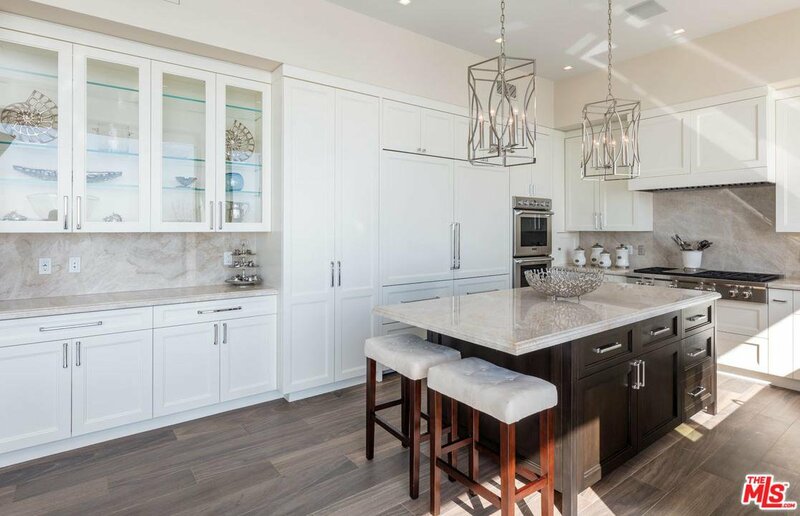 Walls of accordion glass doors marries a great room w/FP sitting/dining area & white Taj Mahal quartzite gourmet island kitchen w/ outdoor space for family or lavish entertaining. 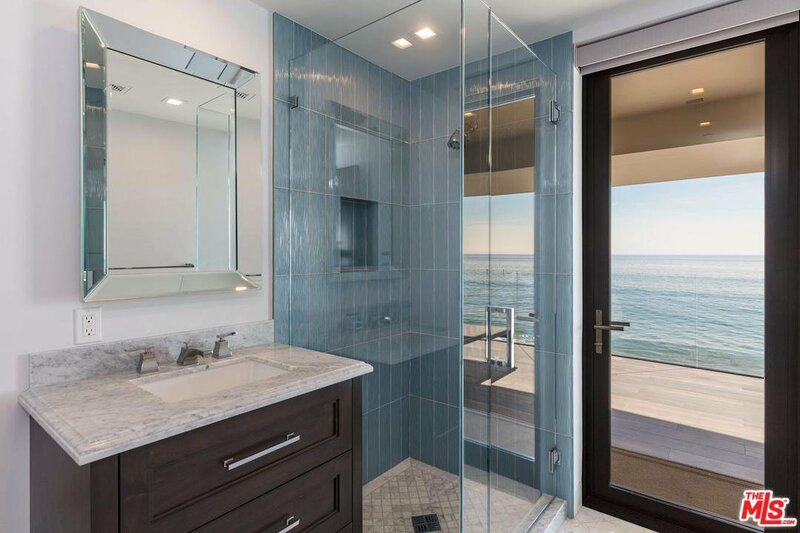 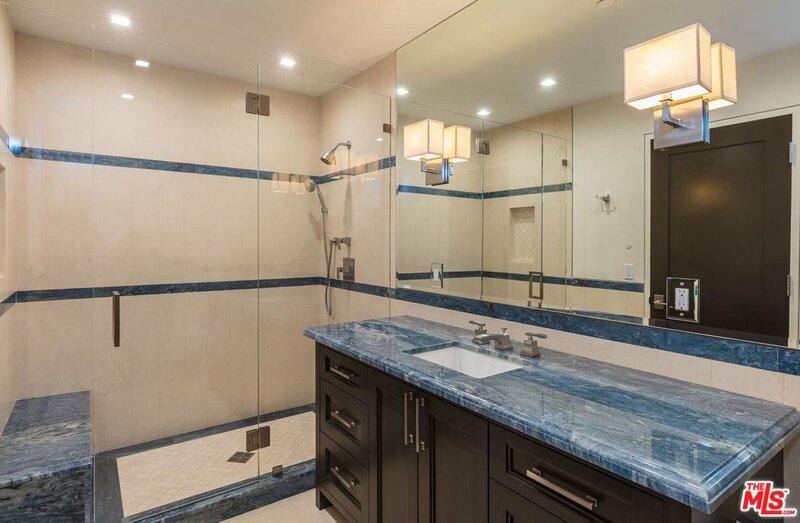 The 3rd-floor owner's suite includes a gorgeous spa-like bath w/double-head glass shower, large closet & lounging/viewing deck w/2-modern fire pits & BBQ island. 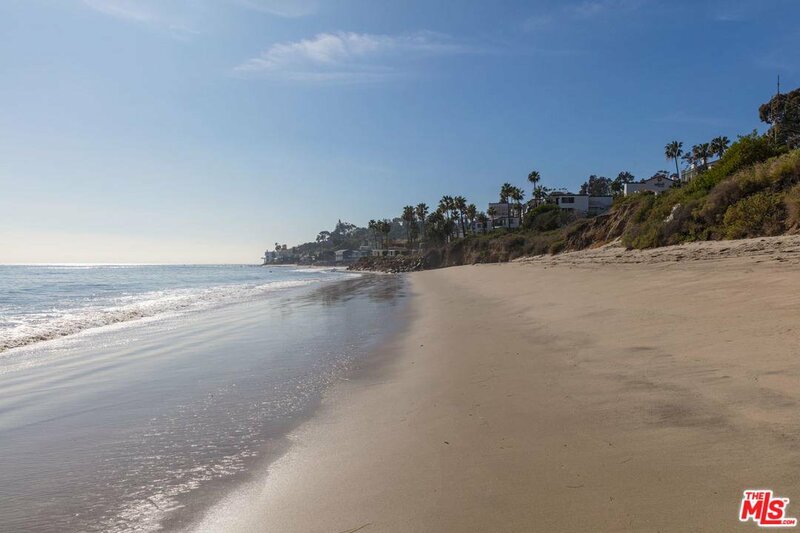 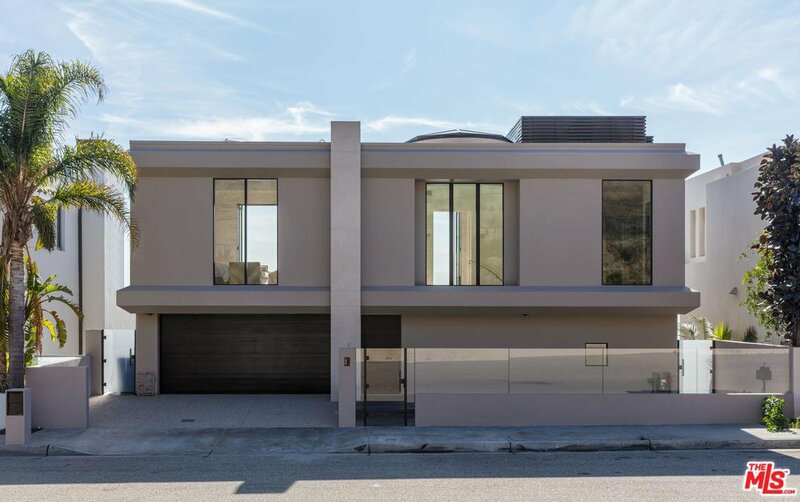 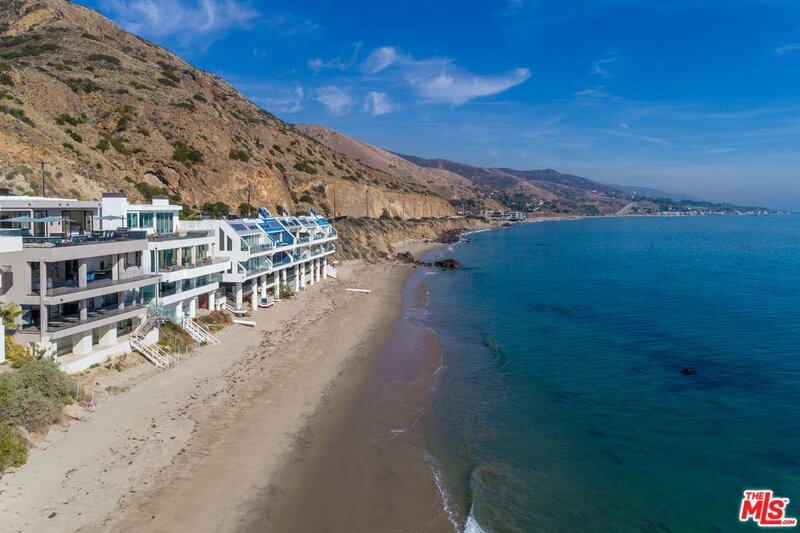 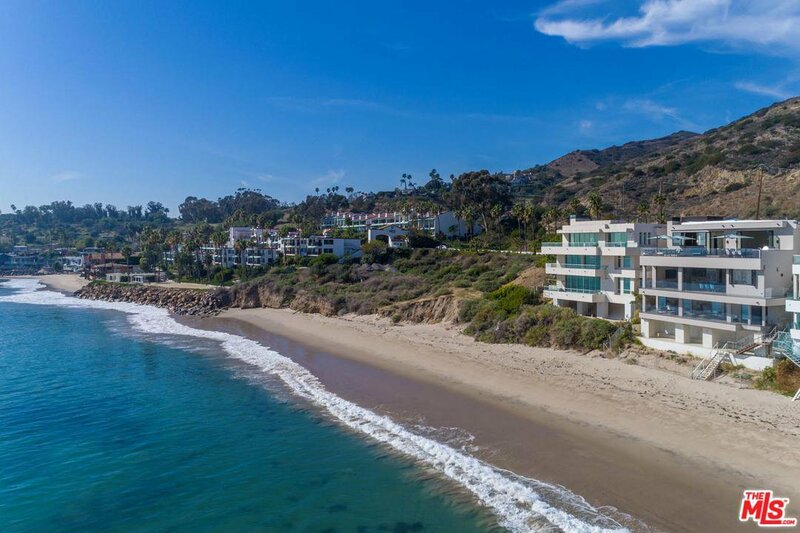 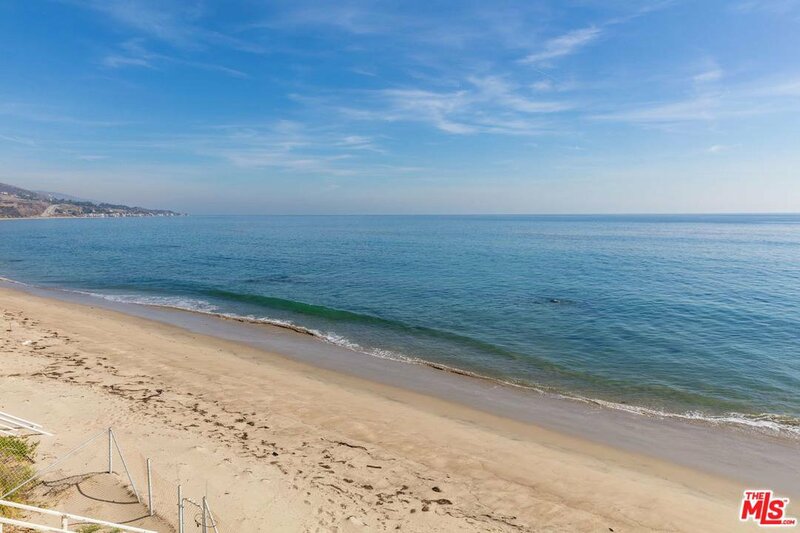 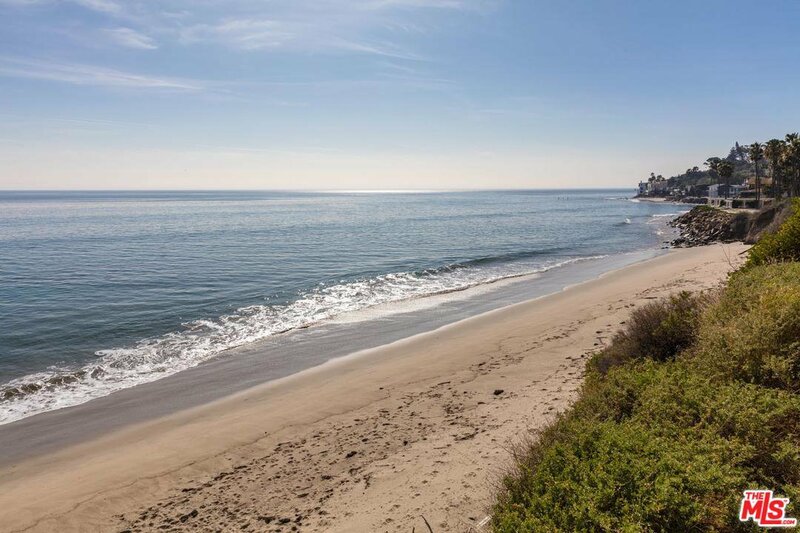 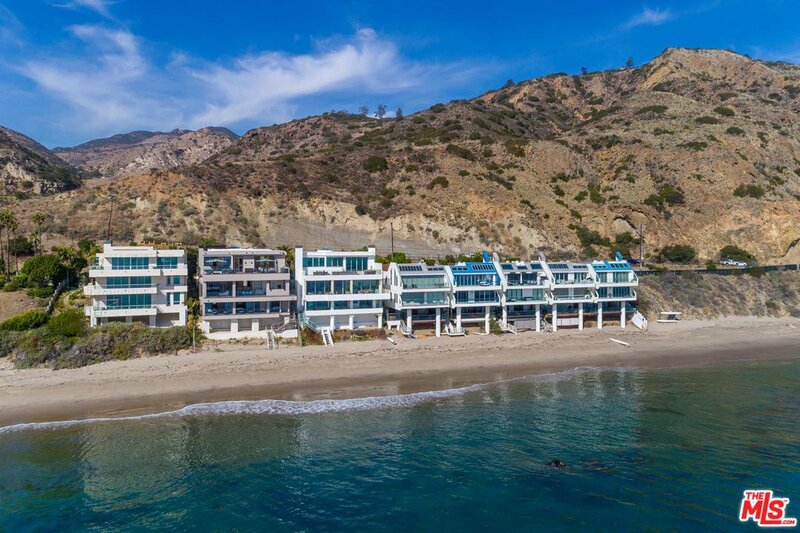 The lower level has 3-ensuite bedrooms, each w/sliding glass doors to generous balcony & access to a lower cement deck w/storage area, outdoor shower & steps to one of Malibu's sandiest beaches.